“Listening to Ayahuasca,” with Dr. Rachel Harris, because, like Caroline, she will be presenting at the Bioneers Conference this weekend. And it’s a great show. Woof*woof! Support The Visionary Activist Show on Patreon for Weekly Chart & Astro*Mytho guiding themes of now; Related posts and links & More! 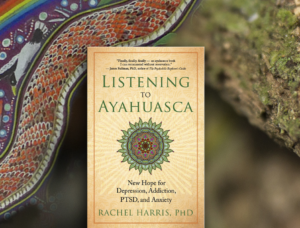 8.24 Show Description: Hosting one of Grandmother Ayahuasca’s voices, Dr. Rachel Harris, author of “Listening to Ayahuasca – new hope for depression, addiction, ptsd, anxiety;” that our rogue species may be guided to return to conscious kinship.